In John Steinbeck’s East of Eden, the character, Lee, is excited about timshel, as translated, "thou mayest." The possibility of acting where there is neither a command ("Do thou") nor a guarantee of an outcome ("Thou shalt") is indeed exciting. It’s very engaging. When no particular authority is commanding and the outcome is up for grabs, then we are called upon to use moral deliberation. Then we bring all our tastes and preferences to the table – they all get to be considered even if they aren’t all gratified. Then we can pursue purposes with integrity with an overarching sense of who we are. How can you get more Timshel – more of that experience of freedom – in your life? In other words, what might I say today that might function as a cause to help your action be less caused by causes you don’t like and more caused by causes you do? Practice attention. Just notice what’s at work in you. Noticing that you’re angry, or that you’re scared, noticing the tightness in your chest or throat or shoulders or stomach, noticing the heat rising on your skin, or the contraction of hair follicles that is that hair standing on end feeling – just bringing conscious awareness to these feelings gives them less power over you. Not zero, but less. Noticing hunger, just paying attention to the sensations, opens up a greater experience of freedom. If we don’t much notice what the hunger really feels like, then we just reflexively grab a bite to eat. But if we do notice it, possibilities of choosing otherwise come into view. We bring our own language of deliberation into the situation, and it might produce a different outcome than just unthinkingly responding. Or notice when you’re not hungry. Am I reaching for some food when I’m actually not hungry? Noticing where that impulse or habit to eat might be coming from, if it isn’t coming from hunger, allows us the feeling of greater choice – which is to say, it brings the language of deliberation into the causal mix. Yes. I certainly want to affirm her power to choose to be safe. So one little reminder often doesn’t do much. Cultivating the habit of constant self-awareness, always noticing the needs, feelings, desires as they arise, this is the practice of freedom. We do this not to suppress or reject the parts that we don’t like, but to own them and embrace them. To hold ourselves fully responsible – that is, response-able; able to respond to – all of who we are – to own and re-integrate all of ourselves, all the terrible things we’ve done and said and felt and failed to do or say – this is the practice of freedom. 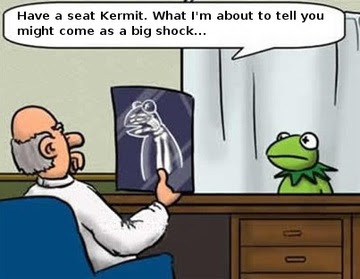 Psychologists use the term “dissociation” to describe a range of detachments from reality. It often has to do with distancing ourselves from a part of ourselves. In extreme cases, it is multiple personality disorder, as the Dr. Jekyll self seeks to sequester and banish the Mr. Hyde self. We are all prone to some form of dissociation – we want to identify with the parts of the self that we like, and get rid of the parts we don’t like. Freedom comes from embracing it all. Cain is banished from the presence of Yahweh and goes to the land of Nod, East of Eden. 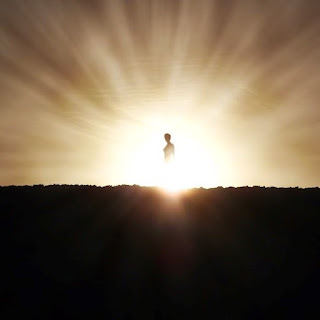 Freedom comes from bringing your inner murderous Cain back from the land of Nod (the land of nodding off, the land of sleepy unawareness), back into the full presence of the awakened self -- and owning the responsibility for all of who you are. Not indulging every whim, but not suppressing any either. Neither indulging nor suppressing, but aware of and responding to. We do not rule over our sin by banishing it, but by welcoming it into the community of self, by recognizing the legitimacy of its needs. In the end, freedom and responsibility are not something we can do by ourselves. We need each other creating the community that can show all of us, all of our parts, back into relationship. You have to do your part, but you don’t have to go it alone. Indeed, you can’t do it alone. Freedom means no one is banished. And that takes all of you welcoming all of who you are, all of us welcoming all of us. But the song lifts up also the crucial role of one another. And you are not alone in this. “But you are not alone in this." Timshel: we can do it. Si se puede. Thou mayest rule over sin – that is, we just might overcome all banishment, heal from our dissociations, enter into a welcoming responsibility. We may become whole through love. We need all of us. That's our ladder to the stars. This is part 3 of 3 of "Timshel: Thou Mayest"
Part 1: "You Can Be Its Master"
The Liberal Pulpit is looking at Genesis 4:7, which reads, "Thou mayest rule over it" (JPS, 1917), or "You can be its master" (New JPS, 1985) -- "it" being "sin." What is Lee talking about? When it comes to free will, I am reminded of the debates between free will and determinism into which I used to egg my philosophy students. There were always a few students ready to defend the determinist position, and at least a few others ready to stand up for free will, against determinism. Determinism is the claim that everything is caused, and happens the way it happens because of its various causes. Determinism is ultimately beside the point, I’m going to say, but it does serve the purpose of helping clarify what is the point -- what is at stake when we strive for greater freedom. What will turn out to be at stake, I will argue, is relationship, community -- all of us welcoming each of us. Through love are we free. Determinism points out: If freedom means you get to do what you want, where does your wanting come from? Some combination of genetic predispositions and environmental influences produced the want. You get to choose, but you don’t choose the factors that will cause you to choose the way you do. Everything is the product of causes. Everything, that is, except for certain quantum phenomena that, for complicated reasons of which physicists seem very confident, are entirely uncaused. Under certain conditions the spin of certain particles is absolutely random – NOTHING caused it to spin the way it is spinning and not the other way. So, if quantum phenomena can be uncaused, can human behavior be uncaused? Well, what if it can? Is that what freedom looks like? If you saw somebody moving about randomly – muscles contracting here and there without cause or reason – we wouldn’t say she was free. Quite the opposite. We’d say she was in the grip of – enslaved by, we might say – some bizarre and horrible neurological condition. 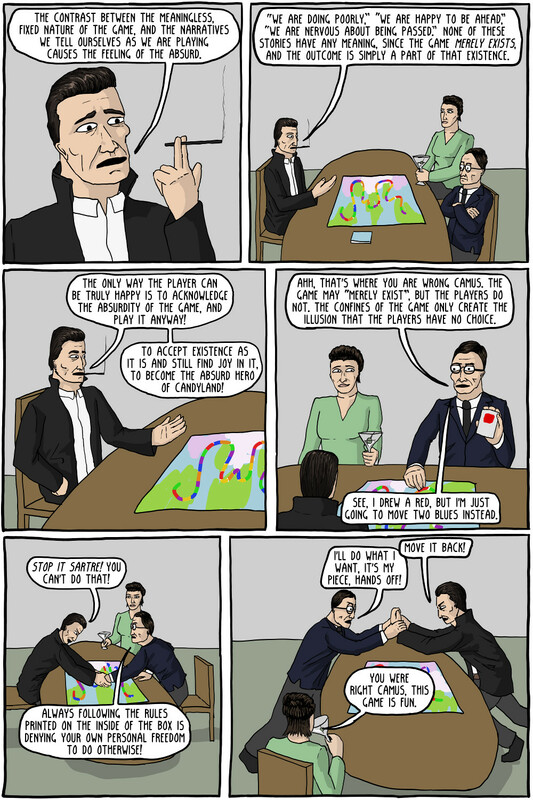 Determinism makes a very logical point. Everything that happens is either the product of causal conditions and forces, or it isn't. If it is, then it's not free. If it isn't, then it's random, and randomness isn't free either. "Free will" is an incoherent concept. This logical point is sound, but the sort of free will that is thereby defeated is not the sort of free will that any one who yearns for freedom is yearning for. They aren't yearning for some incoherent concept, but for something very real in our experience. What is it? People who are yearning for freedom are yearning for liberation from some force or condition in their life. It might be a slave master or prison bars or an addiction or bad habit or mental illness or poverty. Someone yearning for freedom isn’t looking to become uncaused. They just want certain causes removed so that happier causes can, instead, dictate their actions. They would like to be guided by purposes that make sense and are rewarding rather than by someone else’s commands and by threats of painful punishment. They would like to have certain specific constraints removed. They would like to be guided by the better angels of their nature rather than by their demons. Nor does determinism mean we can’t hold people responsible for what they do. If the social practice of holding a given person responsible for a given action helps us maintain an orderly society, then let's keep the practice. Moral disapproval sometimes works. Most of us don’t shout profanity at particularly inappropriate times – because the moral disapproval of those around us has taught us not to do that. Relationships including a shared language of moral deliberation work, much of the time. For people with Tourette’s syndrome, that doesn’t work. We say they aren’t responsible for what they do – which is to say that the shared language of moral deliberation – praise, blame, censure, punishment – is an ineffective causal force for making them change that particular behavior. So what I’m saying is this: Thou mayest – you get to choose – doesn’t mean your choice is undetermined, not even a tiny bit. The mixture of influences you didn’t choose and genetic inclinations you didn’t choose – maybe with some randomness thrown in that you also didn’t choose – wholly determines what you will choose. But that’s beside the point because the important question isn't, "Are your actions determined?" The important question is, "What is freedom actually experienced as?" We don’t experience freedom as uncaused action, so when the determinist points out that there is no uncaused action, this fact is irrelevant to the experience we’re talking about. The real question is how do we experience freedom, and how can we experience more of it? One: We experience freedom when one of the causes is a shared language of moral deliberation. When an action happens reflexively or habitually or driven by obsessive-compulsive tendency or by any other mental disorder, we don’t experience it as being as free as we do when the language of moral deliberation can play out in our minds and when there’s a real possibility that we will actually carry out the conclusion of that deliberation. When we say that depression, schizophrenia, and mania aren’t free choices, we’re saying that talking – including threatening and ostracizing – doesn’t do much good. We experience freedom not when our action is uncaused, but when language – particularly the language of deliberation -- plays a key causal role. Two: We also experience greater freedom when all our tastes and preferences – howsoever unchosen those tastes and preferences are – are allowed at the table. We don’t, in the end, have to act to satisfy every taste, but not squelching or suppressing or denying that we do have the tastes we have is a piece of the experience of freedom. Three: We experience greater freedom when the causes that are coming from our own body, including our brain, are within the range of normal and healthy, rather than including mental or physical illness. 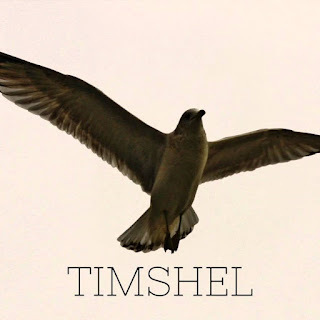 This is part 2 of 3 of "Timshel: Thou Mayest"
"You Can Be Its Master"
Two readings, one ancient and one modern. First, Genesis 4: 1-16, New JPS Translation, 1985. Now the man knew his wife Eve, and she conceived and bore Cain, saying, ‘I have gained a male child with the help of the Lord.’ She then bore his brother Abel. 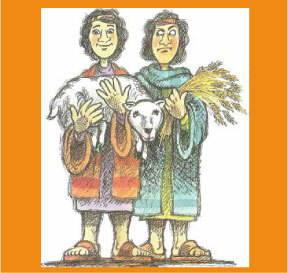 Abel became a keeper of sheep, and Cain became a tiller of the ground. In the course of time Cain brought an offering to the Lord from the fruit of the soil, and Abel, for his part, brought the choicest of the firstlings of his flock. The Lord paid heed to Abel and his offering, but to Cain and his offering He paid no heed. Cain was much distressed and his face fell. 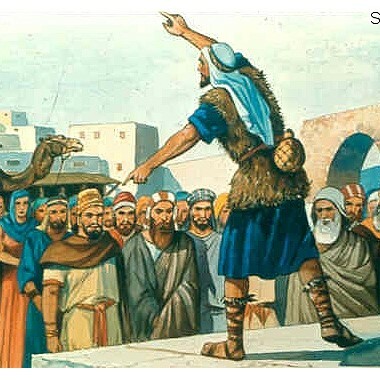 Cain said to his brother Abel, ‘Come, let us go out to the field.’ And when they were in the field, Cain set upon his brother Abel and killed him. The Lord said to him, ‘I promise, if anyone kills Cain sevenfold vengeance shall be taken on him. 'And the Lord put a mark on Cain, lest anyone who met him should kill him. Cain left the presence of the Lord and settled in the land of Nod, east of Eden. 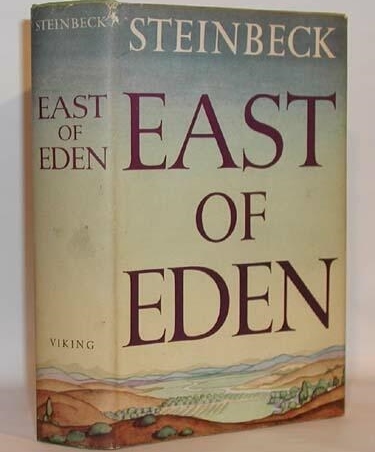 That last phrase, “east of Eden,” John Steinbeck used as the title of his 1952 novel. In one passage from that novel, the Chinese servant, Lee, is talking to Samuel about those first 16 verses of the fourth chapter of Genesis. You should have sat through some of those nights of argument and discussion. The questions, the inspection, oh, the lovely thinking—the beautiful thinking. After two years we felt that we could approach your sixteen verses of the fourth chapter of Genesis. Now, there are many millions in their sects and churches who feel the order, ‘Do thou,’ and throw their weight into obedience. And there are millions more who feel predestination in ‘Thou shalt.’ Nothing they may do can interfere with what will be. But ‘Thou mayest’! Why, that makes a man great, that gives him stature with the gods, for in his weakness and his filth and his murder of his brother he has still the great choice. It is easy out of laziness, out of weakness, to throw oneself into the lap of deity, saying, ‘I couldn’t help it; the way was set.’ But think of the glory of the choice! That makes a man a man.... Confucius tells men how they should live to have good and successful lives. But this—this is a ladder to climb to the stars.... It cuts the feet from under weakness and cowardliness and laziness. What is Lee so excited about? Why does he get hooked by one verse from Genesis 4, plunge into two years of intense exegesis about it, and conclude that ‘thou mayest’ is humanity’s ladder to the stars? The story of the conflict between Cain and Abel reflects the real conflict in the Ancient Mid-East between the tillers of the ground and the keepers of sheep. It is also one of many times in the Hebrew Scriptures that a parent or parental figure’s real or apparent preference for one sibling over another causes trouble. The key verse, Genesis 4:7, comes before Cain kills Abel. Cain is feeling sad because Yahweh “had regard for” Abel and his offering, but not for Cain and his offering. Yahweh says, Why so sad? You can be its master. The King James Version says, “Thou shalt rule over” sin – which Lee reads as promising that humans will triumph over over sin. The American Standard Version says, “Do thou rule over” sin – which Lee reads as a command, an order to triumph over sin. Of the 20-odd major translations into English, the only one that uses “thou mayest” is the JPS (Jewish Publication Society) Translation, 1917, of the Tanakh. * This would be the one in use by English-speaking Jews of Steinbeck’s time. If Steinbeck consulted with a Rabbi -- and apparently he did -- the phrase they would have talked about was, “thou mayest rule over” sin. "You can be its master," is from the New JPS Translation, 1985. “Thou mayest rule over it” – which Steinbeck takes to mean, “You are allowed to choose; you have free will” -- sounds to me more like, “You might prevail (thou mayest rule over). Go ahead; give it a shot. You might win against sin.” So I went with the New JPS, "You can be its master." It’s a mix of “you’re allowed” and a sort of “Si, se puede” (yes we can) encouragement. You can be sin's master. This is part 1 of 3 of "Timshel: Thou Mayest"
somewhat re-arranged order, constitute the Protestant "Old Testament." Lucy is remembered as extraordinarily devoted to helping others gain the empowerment of greater scientific understanding. She was driven by faith that the world could be made better through wider participation of an engaged and scientifically literate citizenry. The history of science, she well knew, like human history generally, is replete with missteps and the distortions of ego, yet science, more than any other endeavor, she believed, is ultimately self-correcting, continually teaches humility, and represents our best hope for expanding knowledge and, thereby, human freedom. She inspired a number of the reflections which I have blogged about in the last few years. I have come to recognize how certain of my childhood lessons both cut to the heart and have been taken to heart. Sitting seems to be significant. I sat on a wall. I sat on a refrigerator. Now I sit on a zafu (round cushion). The wall. When I was about four-and-a-half, at the end of our front yard was a 3-foot wall going down to the sidewalk. My Mom was then working on her PhD in Chemistry. I was very sad about something, and I went outside, sobbing, to wait for her return from the lab. I sat on that wall and cried for her. She didn't come and didn't come and didn't come. After my distress had passed on its own, after my psyche had hardened a bit because sources of comfort could not be counted on, she finally did. I understood she was committed both to me and to something called “work.” Not just any work. Both Mom and Dad were academics, scholars, college teachers. The unspoken lesson of their example was that the only sort of work that was truly worthy, that was worth being away from family, was learning. And teaching others. Expanding and transforming ourselves and helping others be expanded and transformed. When tribal identity is at stake we become rigid, inflexible, dogmatic about "speaking correctly" -- and this is just as true for those who call themselves "atheists" as for those who call themselves "theists." When our tribalism is not at stake, almost all of us, whether we call ourselves "atheist" or "theist," are flexible, creative, open, and charitable in the ways we use and respond to nonstandard language. The question then arises: What's more important, defending our tribal identity or connecting with other people where they are? “Things go down,” I said. “Because of gravity,” I said. When Mom told me this story a couple years ago, I did NOT think, “Egad, my mother lied to me!” After all, why not call it levity? She might have tried explaining that gravitational attraction is proportional to mass, and that stuff that’s more dense has more mass for a given volume, and helium is less dense than air, so gravity pulls the air harder than it pulls the helium in the balloon, so gravity pulls the air down and under the balloon, pushing that less-dense object upward. Mom wasn’t ready to explain all that – or, rather, she knew I wasn’t ready to follow such an explanation – so she gave me this word, “levity” as a sort of placeholder. With wisdom and quick wit, she used language to connect with me where I was, rather than to leave me behind. I delight in this new family story -- not because Mom’s answer was false, but because it is, in fact, so true. I love knowing again what apparently I was first taught at age five but forgot: there is a force called levity that makes things rise. The world is full of wonder. At times when I might think gravity makes everything go down, I recall that some things go up. Language is full of wonder, too. The words we select to express our experience give the experience meaning -- and sometimes delight. Can we say that the cosmos, then, is God – even though the cosmos is neither supernatural nor person-like? May reality thus described reasonably be called God? May we call “God” a cosmos that has “most” of the qualities traditionally associated with God – or must we insist that supernatural and person-like necessarily must be a part of the definition? How shall such a question be answered? My mother was a physics and chemistry professor. My father was an English professor. Once, at dinner, Mom posed a question to my sister Alizon and me, as she was sometimes wont to do. "To make quick, to hasten, to quicken motion; to give a continual impulse to motion, so as perpetually to increase." Actually, scientists do get to change the meanings of words. Sorry, Dad. Sometimes scientists even do so through an explicit and formal process, as when the International Astronomical Union, on 2006 August 24, adopted a new definition of “planet” for our solar system. Their definition excluded Pluto, which had been within the definition of planet since its discovery in 1930. More often, the shift in meaning disseminates slowly and informally. Words change their meaning as we learn more about the things they point to. As we learned more about motion, we saw that all regular changes in velocity were mathematically describable, and we needed the word “accelerate” to refer to all such changes, not just to speeding up. Sometimes the quest to do the right thing with our purchasing decisions can just seem silly. She never answered. When I saw her some months later at Christmas, I asked her about it. "I assumed the question was rhetorical," she said. I can imagine my children writing to me with that question: “Well, OK, Dad, where do you draw the line?” I don’t know if I’d answer either. My mother was, and still is at the time of this writing, a scientist. Since her research was at the boundary between chemistry and physics, her teaching career has included some years on the chemistry faculty, and other years on the physics faculty. In 1960, women scientists, and, in particular, mom scientists, were still a novelty. The Richmond, Virginia Times-Dispatch that year ran a human interest story about a mom and her little boy: me, age 15 months. Along with the brief article the paper ran a photo of Mom, Dad, me, and her electron microscope. The captions says: "Gerald Garmon [Dad], and Steven [my first name; "Meredith" is my middle name] pick mother up at her office. Electron Microscope Mrs. Garmon uses is much bigger than Steven." My perch is not steady. An electron microscope is not firm grounding. But Dad's holding me, and I am holding on to the microscope. In my short pants and toddler shoes, I'm looking at Mom, and she's looking at me, while she has a finger on the control panel. Mom looked for truth, in the way that scientists do. With the then-high-tech electron microscope, she looked for tiny, tiny truth to contribute to a grand edifice. She investigated the structure of nickel electrodeposits on copper monocrystals. Mom wanted to know, to understand – and not just for her own sake. She was called – called by the cosmos, ancient and infinite, immediate and infinitesimal – to toil in orchards where Newton and so many other scientists had plucked fruits of empirical knowledge. Her life has been dedicated to service to future generations, to participation in the processes of unfolding truth so that those who come after will understand this world better than our brief lifespans will allow to us. As the years rolled by, I grew, a product of my times, my parents, and my own predispositions. I went not into science, but into philosophy. For several years of young adulthood my primary interest was in philosophy of science. I explored questions about how science works, what legitimates its claims. Does it discover truth, or invent fictions of ever-increasing convenience? And how would we know? Our brains are flukes of evolution. Animal brains are selected for ability to do three basic things: find food, avoid becoming food, and find a mate. Primate brains have the special challenge to do these three things in a fantastically complicated social context that requires, on the one hand, intricate cooperation, and on the other hand, complex intrigue and competition. How is it that a brain thus produced can do theoretical physics? Can build, and peer through electron microscopes? Can discover the structure of nickel electrodeposits on copper monocrystals? In doing these things, are we mirroring reality, or projecting our own brain functions upon nature? And, again, how would we know? These are some of the philosophy of science questions that captivated my attention for some years as a graduate student. Scientists gaze in wonder through telescopes and microscopes, and I gazed in wonder at the scientists -- just as I gazed at Mom in that Times-Dispatch photo. Many of us spend much of our adult years coming to terms with our relationship with our mothers: consciously working it out, or unconsciously playing it out. For me, this relationship involved a relationship to the entire scientific enterprise, from Isaac Newton on down. I came to stand – the apple finally landed – upon the conclusion that science is for controlling and predicting. Mom says science seeks to explain. There are, however, many forms and functions of explanation, and the sort of explanation that is “scientific” is the sort that affords prediction and control – for prediction is the only test of an explanation in science, and ability to control is a product of ability to predict. The powers of prediction and control, steadily growing from Newton’s time to ours are truly impressive. They made possible our modern world of cars and computers, cell phones and internet, CAT scans, artificial hearts, serotonin re-uptake inhibitors, and food production and distribution that sustain a world population orders of magnitude beyond Thomas Malthus’ wildest imaginings. Yet I want to do more than predict and control my world. I want to befriend it. Our story and picture of reality must be consistent with the well-confirmed conclusions scientists reach, yet provide also for awe and wonder, humility and gratitude, moral grounding and aesthetic bliss. The truth we need is not merely the truth about which observable causes yield which observable effects. We need also the truth that each cause is a sacrament, and each effect a revelation of divinity. We need also the truth of love and connection. We need also the truth that control, along with the ego that believes itself to be in control, is an illusion. There are a number of ways to renew. I mentioned, first, there may be something we need to get back. Second, there may be something we need to turn away from. Third, we find renewal through service – for others, for justice. Which leads us to fourth, we find renewal through place: through being rooted in our location, grounded in our literal ground. We are made to be a part of our environs, our identity intertwined with our geography. Yet we can become unmoored, either through moving every few years – and in the US about 12 percent of the population relocates in any given year – or through spending most of our days in geographically neutral experiences. 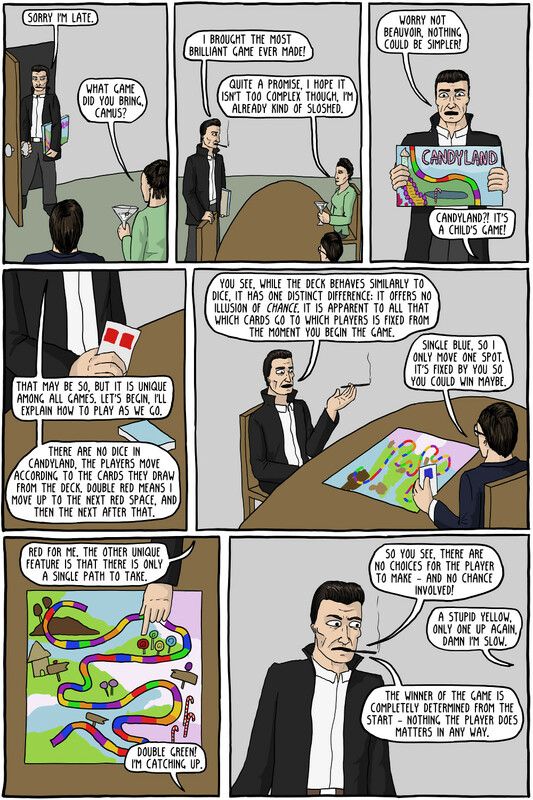 For many of us, our workplace has the same layout and look it would have in Utah, or Louisiana. The architecture and décor of our homes could just as well be in California or Kentucky. In between home and work, we go past, and maybe stop in at strip malls that look the same in Oregon as they do in Maine. We watch the same TV and movies that people in Minnesota and Florida watch. "It is place, permanent position in both the social and topographical sense, that gives us our identity." “A sense of place results gradually and unconsciously from inhabiting a landscape over time, becoming familiar with its physical properties, accruing history within its confines." “The land was ours before we were the land’s . . .
[The land] was ours in Massachusetts, in Virginia, but we were England’s, still colonials . . .
That deep rooted sense of place takes more than one lifetime to emerge on its own. Still, if we intend to do so, we can consciously cultivate that sense of belonging to our place. I am a transplant to Westchester County, New York; I've only lived here a little more than two years. Walking along the Hudson River or the Long Island sound, traipsing about in our wooded areas, among the old stone walls that the European settlers of this area had such a mania for building two to three hundred years ago -- reading and learning local histories and local stories, getting out in it through every season of the year, winter and summer, fall and spring, has begun to cultivate a sense of place here for me. Doing these things over many years will deepen that sense of place. If life is stale, flat, in need of renewal, it may be that we are unrooted. For those of us who are now living in an area different from the one we were raised in, strengthening our rootedness is a two-fold practice. First, there's developing your connection to the local area where you are now. Second, you might return to a place where you used to live, and that still lives in your heart. I was born and raised in the southeast: born in Virginia and grew up there and North Carolina and Alabama until, when I was nine, we settled in Carrollton, Georgia. I was back in Carrollton for a week this summer: visiting my Mom; remembering the streets of my youth, the topography, the soil that is red from so much iron, the many Baptist churches dotting the rural country side; remembering the part of me that is a product of that landscape and that land. We are our place, and when we’re in touch with it, it renews us. When we are grounded in some actual ground, renewal grows up from that ground like the small and tender plant pictured. If you can’t go there in person, perhaps you have a scrapbook or old photos you can pull out to take you back imaginatively to the ground in which your roots are. Either way, it might help to bring someone along on the journey. Sometimes a friend sees things we can't. Renewal is a rhythm, but maybe sometimes the rhythm is missing some of its beats. Maybe you weren’t even noticing the missed beats. Is there something to get back? Is there something to turn away from? Is there a way you could serve more? Is there a way to strengthen your sense of place? May we find the paths of renewal that we need. This is part 3 of 3 of "Renewal"
How does renewal happen? What does it take to be renewed? In the last Liberal Pulpit, we considered asking ourselves, "Is there something we need to get back?" Second, is there something we need to get away from – to lose – to turn away from? Instead of getting something back, maybe we need to drop something we’ve picked up along the way. Maybe there’s some part of our world or our culture that does not serve, that could be renounced. What might need to be removed in order to help you be renewed? Removing speed and just slowing down might be profoundly renewing. Removing the distraction of cell phones from, say, dinner until the next morning – would that be renewing? Removing habits that aren’t serving your well-being – whether it’s too much caffeine consumption, too much alcohol consumption, too many computer games. Can you find another way to relax or give yourself a break? Some people find it renewing to break from the patterns society pushes. What are you buying that you really don’t need? Is there some area of your consumerism that you could curtail? Maybe, for example, cut your clothing budget in half. Go ahead and wear the same clothes for several days in a row. It might be exhilarating. (See one blogger's reflections: "Same Dress. Different Day.") What cultural trap might you turn away from and thereby be made new? Is there something we need to turn away from? Third, how can we serve? It's one of the most important insights along the spiritual path: Renewing the world is often the best path to renewing oneself. Let me share with you a number of examples. James Arthurs found renewal in music, and he magnified that by bringing it to others. James founded the Guitars for Good program. Guitars for Good uses music therapy in order to make life a little brighter and fun for the children at Sick Kids Hospital, where James volunteers. James was able to get funding for ipods for many of the kids so they could have their music more available. Benji Chu found renewal in running, and he magnified that by bringing it to others. Benji has run more than 30 marathons and found that running transformed his life. So Benji founded Run for Change, a bi-weekly running group and annual 5k road race for the homeless and lower income individuals in Vancouver's downtown east side. He’s arranged for running shoes to be donated and he organizes the group runs so that the disadvantaged can experience the power of running. Mark DeMontis found renewal in playing ice hockey. But then he developed a condition that left him legally blind. Unable to pursue his dream of playing professional hockey, Mark learned about a form of hockey for the blind. He started Courage Canada, an organization that gives visually impaired kids the opportunity to learn to ice skate and play hockey. Laura Armstrong found reneweal in making works of art, and she magnified that by using it to serve others. Laura founded Work of Heart, a not-for-profit organization that raises money for kids in Kenya by selling her art works as well as art from other local artists in Toronto. Jim Power, a homeless Vietnam War vet in Manhattan’s lower eastside, found a creative outlet in creating hand-crafted mosaic artwork that he started posting on lampposts all over the lower eastside, transforming the streets into the “Mosaic Trail." The “Mosaic Trail” became Jim’s expression of self. His mosaics told stories about the area and thereby strengthened the identity of the neighborhood. When the city threatened to destroy his work, the community rallied around Jim to protect the “mosaic trail," now a legacy for the residents. Aziza Chaouni finds renewal in her work as an architect, and she magnified that by using it to serve the town of Medina in Fez, Morocco. The Fez River winds through the mazelike medieval city. The river, once the soul of the city, succumbed to sewage and pollution, and in the 1950s was covered over bit by bit by slabs of concrete. Aziza’s 20-year project has been to restore this river to its former glory, and to transform her city in the process: uncovering the river and designing and implementing beautiful plazas and public spaces along its banks. Angela Haseltine Pozzi used her art to serve the renewal of our oceans. Angela’s Washed Ashore Project collects tons of garbage washed up on beaches and turns the trash into large and colorful sculptures that draw attention to the problem of plastic pollution. She does some cutting and shaping but leaves the plastic pieces intact enough that they can be recognized as what they are: bottles or Styrofoam packaging or plastic bags. Viewers of the art recognize that they purchase items like those, discard them, and they often end up in our oceans. Whether it is working for world justice or finding a way to bring a bit more beauty to your neighborhood, renewing our world renews us. During this season of repentence, let us also remember that social justice includes an aspect of repenting for the wrongs of our past, and the wrongs of our ancestors. For those of us with white privilege, the work of repenting through being devoted allies of the Black Lives Matter movement offers healing and renewal. Next: Renewal through sense of place. 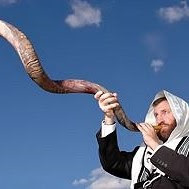 This is part 2 of 3 of "Renewal"
Yom Kippur – the day of atonement: the holiest day on the Jewish calendar. And it’s all about acknowledging the things we have done wrong, seek forgiveness, atone. That way we can be renewed as we head into the new year. Renewal is our topic today. We renew our magazine subscriptions, renew our memberships. Sometimes renew just means repeat: if you renew your appeal for assistance, then you repeat it. But today let’s reflect on the kind of renewal that is the opposite of that: renewal as what we need when we have grown stale from too much repetition. Life is a continuous cycle of renewing, isn’t it? Every day winds down, wears out, and we need rest – and wake up in the morning, at least in some sense, renewed. Fatigue seeks the renewal of sleep. And when the body is tired of sleeping, it seeks the renewal of waking up and getting moving. A nice meal refreshes and renews us. At the same time, too much food will make us lethargic. We need exercise, working it off, to again renew us. Every breath in refreshes and renews, then grows stale. Then the exhale, returning to the world the air that, for us, has grown stale, renews again. There’s a renewing rhythm of breathing several times a minute, of eating and moving several times a day, of wakefulness and sleep daily. There’s the weekly renewing rhythm several days of mostly work and a day or a weekend of Sabbath, of rest and recreation. Rev. Peggy Clarke and I are now offering a Friday evening meditative worship service. At the end of many people’s work week, this 45-minute service is a chance to restore, refresh, and renew heading into the weekend. This is a new thing – the first one was Fri Sep 18 in Hastings, and I myself was surprised at how lovely and renewing it was. The service alternates between here and Hastings, so the next week, Fri Sep 25, the service is at CUUC. Mixed into the annual rhythm are periods of vacation. Many of these cycles of renewal take care of themselves. Yet in the midst of them, there can be levels of renewal that somehow got left out. Maybe your breathing is fine, your sleeping, eating, and exercising is all fine, you work effectively at work and you enjoy your weekends, Sabbaths, and vacations – and yet there’s something missing. Life feels somehow flat, stale, tired, banal. How can renewal happen? Many of us just recently had vacation and are feeling renewed. As one of our Journey Group facilitators pointed out, it’s around about February that we need to talk about renewal. Perhaps so. We need renewal at various times – and not always on schedule. When we need renewal beyond what normal rhythms provide, what can do it? There are a number of things one might try. First, is there something we need to get back? Maybe there’s a relationship that needs repair – forgiveness for whatever it was that strained that relationship. This, of course, is the kind of renewal that goes to the crux of yom kipper. Is there a way to restore right relations with someone with whom relations aren’t right? It may require working out a plan toward forgiveness – either for you to be able to forgive or for you to be forgiven. Our spirits are renewed by the restoration of relationship. Or: remember that thing that you used to do – that was great. You stopped doing it because – well, who knows? Things just got more hectic, more busy – or it didn’t seem like it was all that important at the time, so you let it stop. But now, looking back, maybe you realize that there was a quality of life cost. Setting aside time for some fun or enriching thing is also a path to renewal. Movie night, game night, walk in the woods day, quiet time, novel reading time. Is there some activity that used to renew you – and you could get back to? Is there something we need to get back? Next: is there something we need to get away from – to lose – to turn away from? This is part 1 of 3 of "Renewal"
We ask -- for in articulating what we want, we direct our hearts and our energies toward it. We ask for boldness in confronting evil. We ask to awaken from our complacency. We ask to be agents of awakening our nation from its complacency. We ask for the strength to stand against the complacency that allows 33,000 gun-related human deaths per year in this country, including over 11,000 gun homicides, over 21,000 gun suicides, and over 500 deaths from accidental gun discharge. On this day when we bless the nonhuman animals with which we share our planet and many of us share our homes, we ask to awaken from our complacency about cruelty. Let us, for starters, stand against CAFOs – Concentrated Animal Feeding Operations. CAFOs constitute only about 5 percent of all U.S. animal operations, and they produce more than 50 percent of our food animals. 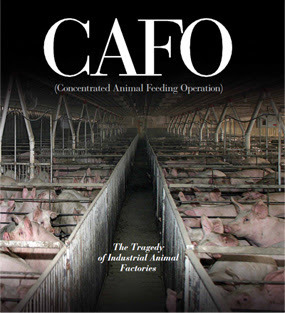 CAFOs inflict unconscionable cruelty on beings as intelligent and sensitive as the beloved pets among us today. Wonder is the kind of thing that visits you – or that you actively seek out – when there’s not a lot else going on. The barriers to wonder include distress – hunger, pain, illness, bereavement – and stress – busy-ness, tension, anxiety. A focus on caring for others, doing good in the world, requires solving the problems that need solving, focusing on the practical needs. This reduces the world around you to two categories. Everything is either an instrument that will be helpful for your purpose or an obstacle that threatens to thwart your purpose. It is a noble thing to have goals, purposes, to pursue accomplishment – at least, it is when those goals and accomplishments involve making the world better, easing suffering, improving the overall quality of life of the inhabitants of this planet. We need, and we take, breaks from our work – and that’s where we can cultivate a wonder that might even linger when we return to work, coloring our tasks with an abiding background radiation of peace and delight. Unfortunately, modern life encourages us to make our leisure as busy as our work. We line up the most high-quality diversions we can and then make our free time as rushed as our work time. There’s hiking, kayaking, bicycling, tennis or some fun form of exercising. There are things to see: a play, a concert, an art exhibit, movies. There are novels to read and whole seasons of intriguing television shows to binge watch. We work frenetically and then play frenetically because if we don’t we might be . . . bored. We speak of child-like wonder, and though we sometimes say nice things about child-like wonder, most of us secretly would rather be known as a serious adult: productive, on the one hand, and erudite, on the other. Boredom is for serious people, who expect or want or need life to give them serious work and serious play. Boredom makes that demand and signals that it is not being met. But if Boredom is an obstacle to wonder, then the cultivation of wonder is the antidote to boredom. We can’t make ourselves have experiences like Thomas Merton had at the corner of 4th and Walnut. 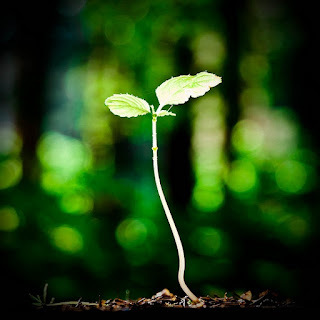 We can only cultivate – nurture the slow growth of the wonder plant, not knowing what shape it may take as it grows, facilitating a power that, though we nurture, we do not control. I could tell you that the way to cultivate wonder is with a spiritual practice, but that would only be tautological because a spiritual practice is anything that cultivates wonder. I’d only be saying that the way to cultivate wonder is to do something that cultivates wonder. 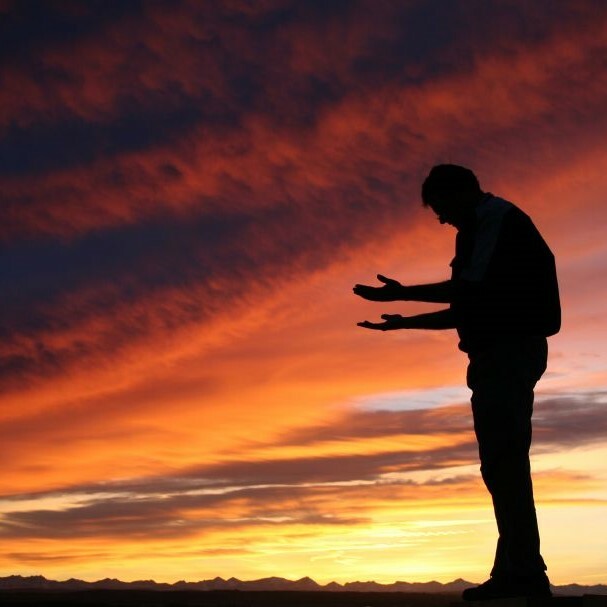 Continual mindfulness of death, Raymond Tallis points out, is conducive to wondering at life. (A point The Liberal Pulpit has also made -- SEE HERE.) It raises the question, though: how does one become able to sustain continual mindfulness of death? Perhaps that is not a question for a definite answer – but a mystery to be lived. This is part 3 of 3 of "Wonder of Wonders"
Certainly there are such things as definite settled answers – perhaps no permanently settled answers, but at least answers that are definite and our best so far. There are times in life when such answers are to be preferred. At such times, of course, science is much better than theology. When you’re not feeling well, and you don’t know what it is and you go to the doctor, you don’t want your doctor to relish the wonder. You want an answer. That’s appropriate. And often your doctor can give you one. Of course, you’d also like your doctor to be honest about what she doesn’t know, but if she doesn’t know you want her to feel somewhat rueful about that, rather than delighting in the mystery. At the same time, there’s a lot more to life than figuring things out. Wonder – the type of wonder I will now be talking about -- is a kind of falling in love: with our world, with ourselves, with the experience of being alive. Wonder is typically expressed in the form of a question, which might fool us into thinking an explanatory answer is being sought. It is not. The point of love is to love, not to explain it, figure it out, or solve it, and the point of wonder is likewise not to get an explanation, solution, or answer. The point of wonder is to wonder – to be filled with admiration, amazement, or awe -- bounded by humility, by gratitude, and by joy. That’s a powerful wonder. How did that happen to Thomas Merton? Why doesn’t it happen to more of us more often? We are surrounded by, submerged within, wonders of sight, and sound, and smell, the wonder of every single thing, and of all things together – of what Philip Larkin called “the million-petalled flower of being.” Is not our proper state of mind one of “metaphysical intoxication”? So many wonders and yet so little wondering. Why is that? Is that itself the sort of question which can be figured out and a definite and settled answer determined? Or is our failure to live continuously in deep wonder a mystery to be lived rather than solved? We can, at least, make some conjectures about the things that hinder wonder -- as The Liberal Pulpit will do in the next part. This is part 2 of 3 of "Wonder of Wonders"
I wonder what the 57th digit of pi is. I wonder how long it would take me to learn to play the lute passably. I wonder what the airspeed velocity of a swallow is. I wonder what would happen if I stopped worrying so much about my kids. I wonder if a double-reverse half-back pass would work. I wonder if giving up caffeine will make me feel better. I wonder how many square miles is 64,000 acres. I wonder who will be the next presidential candidate to drop out of the race. The thing is, there is a definite answer to all of these. And then there are the wonderings that don’t have a definite answer. Who is asking that question? What is matter? The more we attend to the details of what the physicists say about it, the weirder and more mysterious it gets. Where am I – what is the meaning of this geographic location, or this stage in the arc of my life? How do I understand my relationship to my family members? To my parents, or the memory of my parents? To my neighbors? To the dog and cat who share my house? To the squirrels in my yard? To the cow that could be on my plate? To the humans and other animals on the other side of the globe? To the soil beneath my feet? To the Atlantic Ocean? To the Indian Ocean? To the Catskills? To the Rockies? To the Himalayas? To the moon? To the sun? To the stars? How do I understand my relationship to anything, and how do I understand my relationship to everything? Is there a plan for me? If so, what is it? What is going on around me right now? These are the questions that admit of no settled answer. You might have provisional partial answers, but it might be better to not even have that much. Just be in the mystery, without grasping after an answer. As Buechner says, “you do not solve the mystery, you live the mystery." There are wonderings that have a definite answer, and that answer is the point of the wondering, and there are other wonderings for which a settled and definite answer is not the point. There are also wonderings that could go either way. "Does Brad really love me?" You might arrive at a settled definite answer to that question. Or you might take it as a mystery to be lived: what can we know of the mysteries of another person’s heart? Or, indeed, "Do I really love Brad?" What can we know of the mysteries of our own hearts? What sort of place is the universe? What is life, and how does it happen? What is consciousness, and how does it happen? Scientists seem to have a lot to say about these, so maybe they are in the category of things to figure out. But on the other hand, what the scientists say doesn’t really quite seem to be to the point. When the physicists say that, you see, there are 11 dimensions, and billions of parallel universes made possible by different pathways taken by photons – or when biologists tell us about the chemical equations of the reactions inside a cell, reactions which, they say, constitute and define life – or when neurologists say that consciousness is an emergent property of 100 billion neurons firing across 100 trillion synapses – one may reasonably feel that such steps toward solving the mystery don’t really clear up any of the mysteriousness we must live. Science gives us a story about things that has emerged from thousands of very bright women and men in the last 400 years running lots of experiments and trying to make coherent sense of all the results. 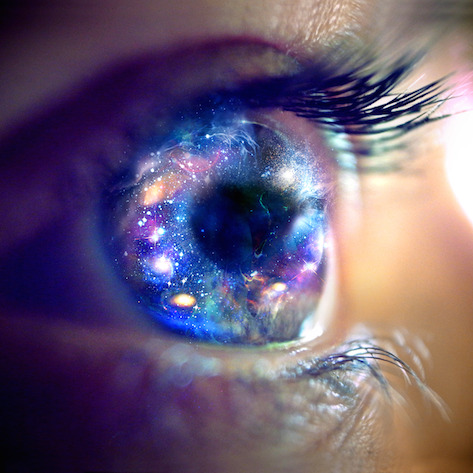 Knowing the science merely gives us a particular sort of language for expressing what is, at bottom, the same wonder. Before science, some of our brightest women and men devised elaborate theologies. From the standpoint of wonder, these were also rather beside the point. Saying, “God made it that way” doesn’t clear up any of the mysteriousness we must live either. Knowing the theology merely gives us a particular sort of language for expressing what is, at bottom, the same wonder. This is part 1 of 3 of "Wonder of Wonders"
I know that a part of the appeal of Buddhism for some Westerners is that it looks like a mystical escape from the realities of the workaday world. I know that Buddhist compassion, just like Christian love, is sometimes – to outside observers and maybe to the practitioners themselves – taken to mean being nice to people with whom we are in face-to-face contact rather than committing ourselves to justice for the faceless people far away who sew our shirts, or work the fields of our sugar and coffee. In fact, however, Eastern religions can help the West be more West – more prophetic, more justice-oriented, more activist. The truth is, we aren't always very energetic about carrying through on our ideals. Or sometimes, for a while, an activist might be very intense about advocating those ideals, but then get burned out. Attention to spiritual training and discipline is necessary. The Eastern traditions can be very helpful with that. A human brain can agree with the ideals of social justice, can admire the social justice heroes, but it has difficulty sustaining commitments. Old habits return: resentments, envy, insecurity, fears, a sense of scarcity rather than abundance, a felt need to guard or promote our status. The skills of sustaining compassion and insight require intentional and disciplined cultivation. Get down on that cushion. 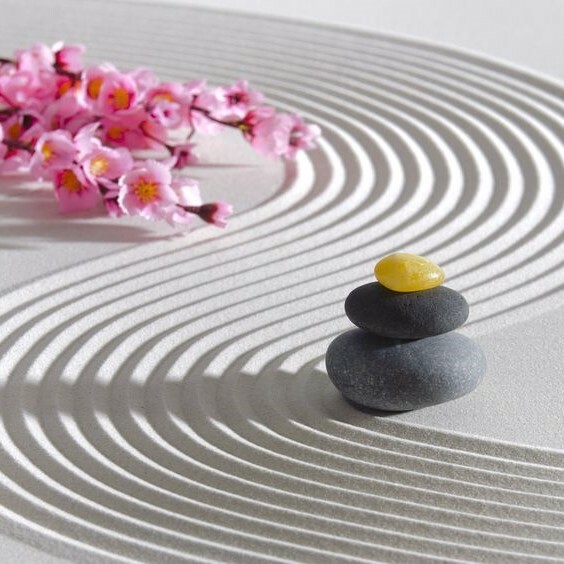 Put in the meditation time – the sitting time -- or the time in some other spiritual practice. Put in the time strengthening awareness of the connection to ourselves and our feelings -- our neuroses -- and the connection to one another. Feel, rather than merely say, “I am you, and the 3rd-world sweatshop worker, the homeless alcoholic, the teen prostitute, the ethically-compromised Wall Street millionaire – all these people are I, and I they.” Know it in your bones not just on your lips. Retrain those neural pathways so that this awareness is a habit rather than a fleeting glimpse. If we don't do the spiritual work to make and maintain interbeing as our felt and lived truth, to understand that the natural world is our very own body not merely as cognitive knowledge but as visceral awareness – if we haven't trained ourselves in calmness and steadfastness, aren’t centered or cleansed or in touch with ourselves or interconnected with all beings, never feel anything close to a luminous sense of joy and peace flowing throughout the world -- then we are not going to sustain any work to transform injustice. Only when energized by deliberate spiritual strengthening, can we make Unitarian Universalism be all we say it is. So get down on that cushion. Then get up off it. Spiritual practice must engage the world, confront wrongdoing; renounce the systems of greed. As steadfast and peaceful happiness enables justice work, so also does justice work facilitate steadfast and peaceful happiness. We have developed systems of single-minded devotion to producing and consuming. These systems reduce the possibilities of human relations to solely economic relations. They oppress ultimately both the poor laborers and wealthy consumers. It's a system in which we allow others -- far away and out of sight -- to be exploited, downtrodden, broken, beaten, malnourished and diseased so that we may gain loneliness and alienation. It's a hell of a deal. The life of passionate and compassionate activism and service and the life of equanimity, inner peace, and joy support each other. The prophetic tradition of the west which, as Unitarian Universalists, we inherit and carry forward, is absolutely essential. The various traditions, many of them Eastern or Eastern influenced, for doing our own inner work are also essential. We must stand with those who challenge and confront powers and structures of injustice, violence, and oppression. But we won’t be able to stand for very long if we don’t also sit. This is part 3 of 3 of "UU Buddhism"
Our hearts are broken by the shootings Thursday at Oregon’s Umpqua Community College leaving 10 dead and 7 wounded. We are deeply saddened by this loss of life, and saddened and angered by our country’s evident willingness to allow mass shootings to continue. Twenty-six dead at Sandy Hook elementary school in Newtown. Thirteen dead at the Washington Navy Yard. Three dead at Fort Hood in Killeen, Texas. 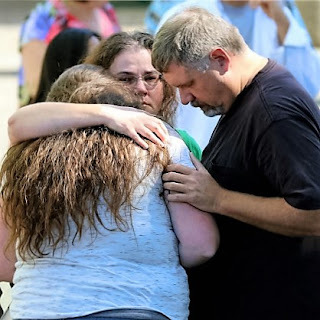 Nine dead in a church in Charleston, South Carolina. Three dead, nine injured, in a theater in Lafayette, Louisiana. Sacred ground of being, can’t we make this stop? There have been many more mass shooting than those that make the headlines. There have been 294 mass shootings – incidents where four or more people are killed or injured by gunfire – in the US, in 2015 alone. That’s an average of more than one a day. We know that we can. May we find the courage to do so. We acknowledge that America’s devotion to guns is unique in the world; it is complicated, and it follows from a great many factors in our nation’s unique history. Let fearfulness be met by compassion. Let fantasies of protection give way to safer and more effective protection. Where racial fears or immigrant fears or fear of a faith tradition have a role in our country’s amassing of firearms, may we tirelessly seek ways to build trust, understanding, and fair treatment. Where fear of crime plays a role, may we seek ways to assuage fears. Building trust in our police departments, and insisting that police be worthy of trust, is a part of that. We know that reduced crime does not correlate with reduced fear of crime, but programs that address causes of crime are also valuable for their own sake – anti-poverty programs, jobs programs, education grants, drug treatment facilities, counseling, assistance, and rehabilitation. May we be a part of building a beloved community that takes care of everyone, that educates everyone, that finds a productive and meaningful role for everyone. Sacred ground of being, may we be agents of the love that drives out fear. There’s a lot of overlap between Unitarian Universalism and Buddhism, especially the naturalized, liberal Buddhism that I practice and teach. But to get a picture of what UU Buddhism looks like, we need to look at one important thing that’s very UU and isn’t Buddhist. In fact, none of the Eastern religions include it: an orientation toward justice as part of the religion. The Unitarian Universalist second principle is "justice, equity, and compassion" (justice also appears in our sixth principle). The Buddhist tradition has a lot to say about compassion; very little about justice or equity. Buddhism is great on lovingkindness, and has very helpful practices for cultivating equanimity, which social justice activists require to ground and sustain their work, but there is very little there in the way of a tradition of engaging with the question of how society ought to be set up, what arrangement of powers and authorities would be fair and reasonable. In recent decades this has begun to change. There's been a lot of work developing "Socially Engaged Buddhism." But the Eastern traditions have not, historically, focused on justice the way the Western faith traditions have. In lands where, for millennia, the Emperor was simply in charge, the idea that your spiritual development also called for you to engage in questions of public policy just never arose. Western civilization, by contrast, took its shape from the interaction between two powerful and enduring traditions – call them Athens and Jerusalem. In the millennium before the Common Era began, the Greeks developed a limited form of democracy. Along with it came public discourse about what was right and fair for the state to do. And the Israelites developed a society with a place for the prophets. Our English word “prophet” comes from a Greek word meaning advocate. The Hebrew word, navi, translated as prophet, means spokesperson. The prophets of the Hebrew Bible – Ezekiel, Jeremiah, Isaiah, Amos, Hosea, et al – had a recognized role which even the king felt compelled to respect. The prophets were supposedly the mouths of God. It was a society built around certain texts, and one of those texts, Deuteronomy, gave the people a formative narrative according to which the Creator said, “I will put My words in his mouth, and he shall speak unto them all that I shall command him." Out of Jerusalem going back 3,000 years, we have this tradition of dissent, of appealing to an authority greater than the king to counterbalance the king’s power. Out of Athens, going back 2500 years, we have this tradition of public discourse, citizens trying to reason with each other to reach consensus or at least majority agreement on what should be done. To get a sense of how remarkable that is, contrast it with Eastern Asia, which had neither of those traditions. The Emperor’s power of decree was hindered by no channel of dissent recognized as legitimate and no need to persuade anyone with reasons. It might be tempting to summarize this difference between East and West by saying that the Western religious traditions have this outward-directed component, and Eastern religions are more inward-directed. Tempting – but not true to my experience. I don't meditate for myself. (Actually, I don’t usually call it meditating. I just call it sitting. Get still, get quiet, and notice. Just sit.) I sit to see more clearly that there's no self there, and in that awareness, notice all being shift a bit toward peace, equanimity, compassion, insight, and wisdom. The practices and teachings to which I committed myself at jukai change the world every day. This is part 2 of 3 of "UU Buddhism"
What'll You Get Out of It? Suppose you got serious about maintaining a spiritual discipline. You engage your practice daily; you do it mindfully, you do it with intention to cultivate compassion, connection, nonjudgmental curiosity -- self-forgetfulness, transpersonal identification, and acceptance; you get together regularly with a group that helps you maintain and explore the spiritual focus of your practice, and you develop your base with daily silence, journaling, and study. What then? What will happen? If you do everything to ensure that your practice is a true, bona fide spiritual practice, and you do that spiritual practice long enough – every day for a year, or 10 years, or 30 years – will you then exude equanimity and compassion while unperturbable calm inner peace and beauty continuously manifests as you gracefully, lovingly flow through your life? Maybe. I offer no guarantees. Spirituality, as I mentioned in the previous post in this series, is not a matter of will. Strong muscles aren’t either. That is, you can’t just decide to bench press 500 pounds, and then go do it. But at least with muscles, there’s a fairly predictable timeline by which exercise increases strength. If you have a normal and healthy physiology, and you adopt a regimen of exercise, and stick to it, then you will get stronger. There’s a smooth curve by which you’ll progress toward the limit to which that regimen can take you. Spiritual strengthening doesn’t go like that. It’s not a reliable product of putting in the time doing the exercise. The spirit has its own schedule. Committed serious spiritual practitioners can go for years when their practice just seems void and useless. Then they can hit a patch where they actually seem to be regressing. They’re acting as cranky, unkind, disconnected -- as withdrawn, on the one hand, or as controlling, on the other – as they ever had before they started any spiritual practice. There is no smooth curve of progress. I started my primary spiritual practice for the worst reason: because an authority told me to. Fourteen-and-a-half years ago I was in Chicago trying to pass muster to become a minister, trying to prove I was good enough. I had just finished my first year of divinity school, and I was meeting with the Midwest regional subcommittee on candidacy. "Do you have a spiritual practice?" the committee asked me. Before starting seminary, I had spent two years as the congregational facilitator and preacher for the Unitarian Universalist Fellowship of Clarksville, Tennessee. 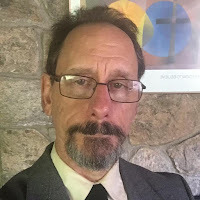 Before that, I'd served as a president of our Fellowship in Waco, Texas, as Vice President of our church in Charlottesville, Virginia and had worked as the church secretary for a year at our Nashville, Tennessee church. But did I have a spiritual practice? I was a born-and-raised Unitarian Universalist. I had a Ph.D. I'd been a university professor of philosophy for four years. I could debate about metaphysics, metaethics, metatheology, poststructuralism, postindustrialism, and postmodernism. If it was meta-, or post-, I was all over it. But did I have a spiritual practice? “Get a spiritual practice,” the committee told me. It is contradictory to take up a path of self-acceptance and trusting in my own inner wisdom because an outside authority told me to. Yet that’s what I did. It is contradictory to judge myself for judging myself too much. Yet that’s what I did, and still do, albeit somewhat more gently. Usually. I’ve now had a chance to talk with a number of people on a path of serious spiritual practice. All of us, or so it seems, began, as I did, in some form of contradiction. We felt broken, wrong, inadequate, and we thought spiritual practice would fix us. But spiritual practice isn’t about fixing anything – which is why there’s no smooth curve toward becoming fixed. Spiritual awakening is about realizing that we aren’t broke and don’t need fixing. We aren’t broken and from the beginning never have been. It’s hard to really believe that we are not broken and don't need fixing. Our culture constantly tells us we aren’t good enough, get better, buy this product, this treatment, this school, this exercise, this method. Spirituality is about remembering the fact of abundance in the midst of the daily barrage of messages of scarcity. Will recognition of abundance happen if you do the practice? I can tell you there will be more ups and downs than the stock market. But over the long haul? Probably, yes. If you love just doing the practice, and you do it just because it is who you are, and not with any idea that you’re gaining something from it – if judgment about gain and loss, progress and regress, falls away and there’s just you, loving who you are and loving the way you, and the whole universe, manifest in and through your practice, then, yes. The fact of abundance will be clearer to you. At the end of “Dr. Strangelove,” the bomber plane is set to release its nuclear payload, which will set off a nuclear conflagration to end civilization, but the release mechanism jams. Slim Pickens climbs down into the bomb-bay to fix the jam. He succeeds, and the bomb is released -- while he’s still sitting on it. 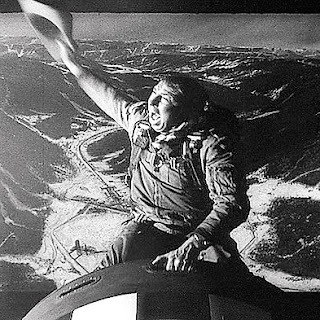 In the film’s most memorable shot, Slim Pickens is waving his cowboy hat and whooping as he rides the bomb down to his – and what will ultimately be the planet’s – destruction. Maybe that’s what learning to stop worrying and love the bomb looks like. He does seem to be living in the moment. But look at what Slim Pickens’ character is doing with his minute! Woooo-hooooo. All of us are riding that bomb. Our time is so short before life blows up on us. There’s something very pure about this – just one chance at every minute. This is it. This is part 3 of 3 of "How I Learned to Stop Worrying and Love Spirituality"
Part 2: What Is Spirituality?